Shattered glass showered my face as I remember ducking to get away from the cow smashing through our car’s windshield at 70mph. It was September 15th, 2012 and it was the most defining day of my life. 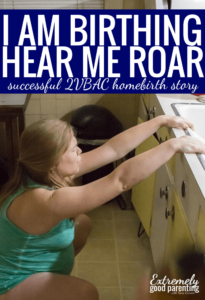 On the old country highway, it wasn’t just our windows that were shattered but it was also the catalyst for disrupting everything I thought I knew about birth and how my own childbirth experience(s) would pan out. 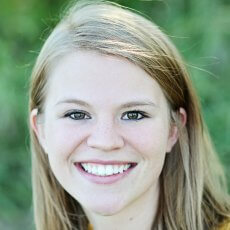 It would change the way I saw pregnancy as a whole and my role in shaping its outcome. No longer was my perfect pregnancy so perfect. And while I sustained no injuries, nor did my unborn child, the subsequent ultrasound showed a frank breech baby at 9 months pregnant. Through foggy tears, I listened to my OB/GYN blubber on about he could perform 5 C-sections if I wanted that many kids, even knowing I had my heart set on a natural childbirth. I walked out of his office never to return. In the following days, weeks, and years, I found providers that gave me answers, research, solutions, help, and most importantly options. 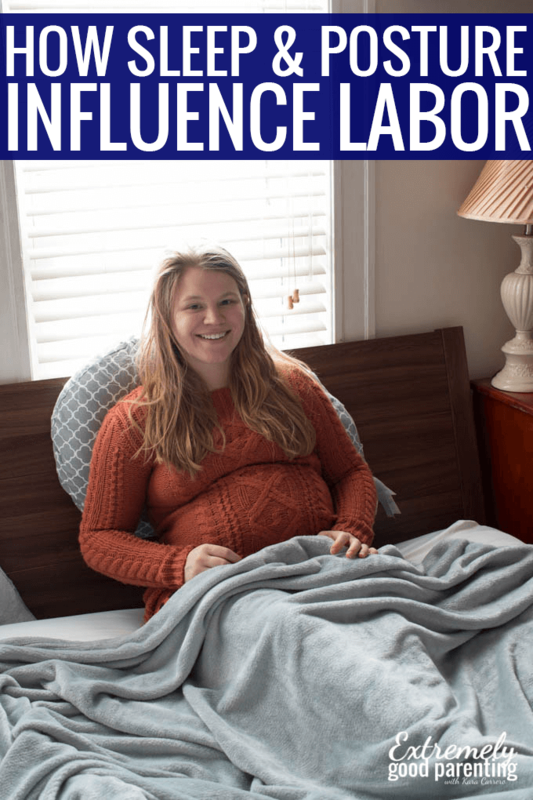 Since my oldest’s birth I have learned all about how sleeping habits, the propensity to recline while resting, and poor posture all affect the positioning of babies and can ultimately dictate labor outcomes. And, yes, I’ve had two successful VBACs! While I was eating well and exercising, I wasn’t practicing the most simple ways of ensuring a healthier labor and properly positioned baby. With my first, I was sleeping on my back and even stomach and I was reclining constantly. During pregnancy, every little thing we do affects our babies and even labor outcomes. So the more intentional we are, the less likely we’ll encounter complications. Ultimately, we want anterior babies. This means better positioning of their head is down and they’re facing mom’s spine for a less painful birth! So how can a pregnant woman possibly work to change her baby’s position? So beyond just how someone sits making their bones and bodies push baby in certain directions, gravity pulls the heaviest part of a fetus, the head, downward. Therefore, the longer a woman sits reclined and unsupported, the easier it is for her baby to be malpositioned or present less optimally. There are 4 different Boppy Pregnancy pillows that offer solutions to pregnancy discomforts and lack of sleep during pregnancy. The different shapes and price points help customize a pregnant moms’ needs to do everything from keeping knees apart while sleeping to improving posture while sitting or propping up her back while relaxing. So what’s the difference between the position and presentation of the baby? When using the term “position,” it assumes the baby is head-down on the cervix. So if your provider is using terms like LOA or ROP, the “O” stands for occiput and very simply just means the back of the baby’s head as it related to the pregnancy mom. So the ideal, LOA, means Left Occiput Anterior and that the baby is on the left side, facing mom’s spine. Malpresentations are those in which the baby’s head is not the first thing at the cervix such as transverse and all the variations of breech. Again, it’s not guaranteed that doing everything perfectly will put baby in the perfect position, but doing our best can at least help prevent it. And comfortable sleep is one of the easiest ways to do just this. Sleep helps align our spines and rejuvenate us, so no wonder it’s an important part of prepping for childbirth. Boppy Pregnancy pillows are a great solution to discomfort while sleeping and throughout the day. They’re great to use while resting to achieve appropriate positioning to help baby stay aligned while also helping mom get better sleep. Recent studies show that women who get more sleep and more restful sleep generally tend to have healthier pregnancies, easier delivery, and healthy babies! So when sitting, sleeping, or resting, simply remember to take the birthing path of “L.E.A.S.T.” resistance! Doing so helps improve blood flow and nutrient transfer between mom and baby. The weight of the uterus can restrict blood flow to the fetus when sleeping on the back, the stomach is not easy, nor recommended, and the right side is fine, but left is best. Use the bump and back support pillow to keep the knees open (and therefore pelvis open) and even to prevent rolling over onto your back. When winding down for the day or even sitting at a desk, exercise balls actually help align baby, especially later in pregnancy. By sitting on a ball, it forces better posture, but also helps open up the cervix to prepare to deliver the baby into this world! 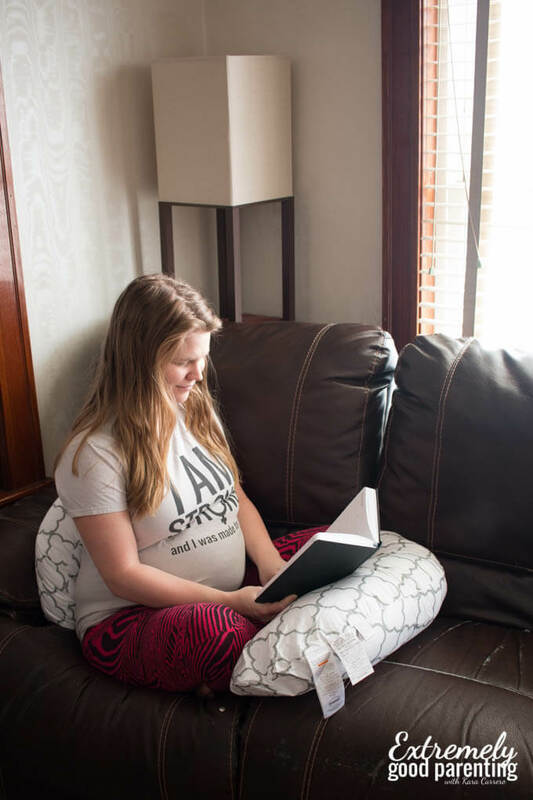 The multi-use total body pillow allows moms to sit and read while propping up their low backs and still maintaining comfort! It’s important to keep the spine and hips aligned during pregnancy. This is why I regularly visited a prenatal chiropractor with all three of my children. Once aligned, I do my best to keep good posture both at home and on the go because the body is a system that works together. So alignment of the spine also contributes to alignment of the pelvis for baby! The Boppy pregnancy wedge is small enough that it can easily fit into a diaper bag or similar to use while driving, at work, or anywhere. (My midwife even has one sitting on her sofa). Especially if you can sit and watch TV in bed or on the floor in this position, it discourages reclining while strengthening the muscles in your back and stretching the pelvic region. 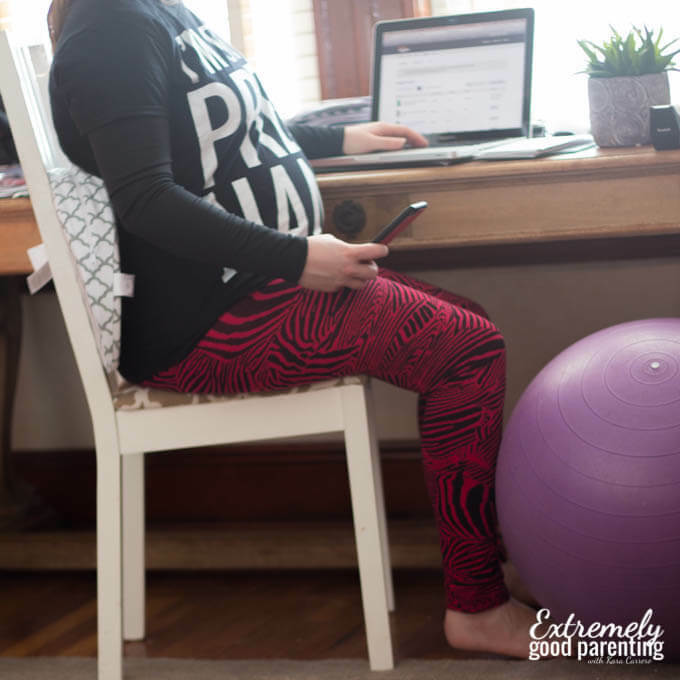 So not only is it a preferred means of sitting, it’s also an easy, effortless exercise to prepare for labor. 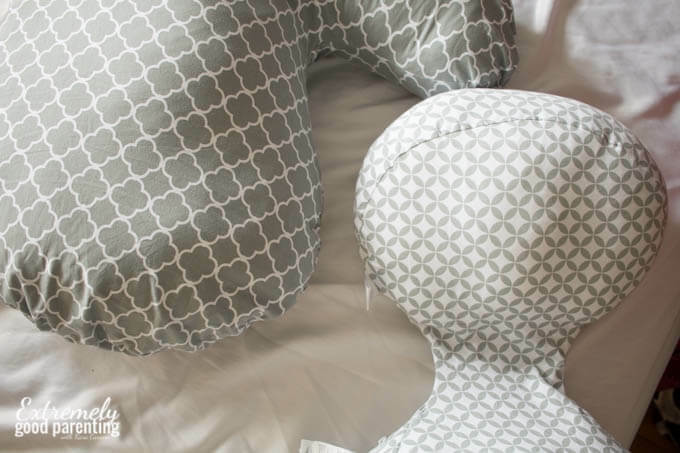 Plus, find more ways to use your Boppy pillows on their YouTube channel! Previous Post: « Why didn’t anyone warn me about 3rd pregnancies or squishy tomatoes? At what point does this need to start? The earlier the better? Yes! I recommend to women I know, and my midwives do as well, to try to make it a habit even before pregnancy if possible. These are great recommendations, but would not work for all pregnancies. I have extremely bad edema (water weight). My feet get so swollen and painful, and literally the only thing that helps the swelling go down is proping my feet up and reclining. My baby has remained in good position my whole pregnancy, thankfully, but I strictly sleep on my left side. Sometimes you have to do what’s best and more comfortable for you, even if it isn’t ideal. Thanks for sharing your perspective, we just try to equip moms with the ideal situations for best outcomes, but with any situation, each person has to do what is not only best for them, but also what their provider recommends most.